Purobio Vegan Compact Powder Foundation evens out your complexion with a light touch! 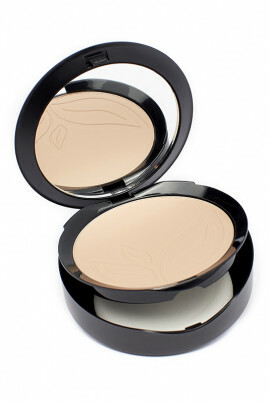 Verynatural effect, its powder texture is suitable for normal to oily skin for a mat finish, thanks to mica and silica. 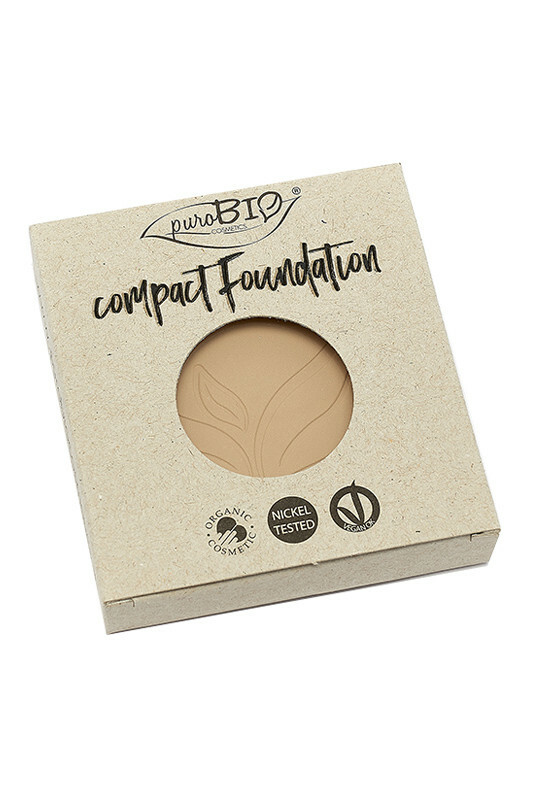 Its formula enriched with organic vegetable oils of macadamia, avocado, karanja, apricot and shea butter will nourish your skin without drying it out! 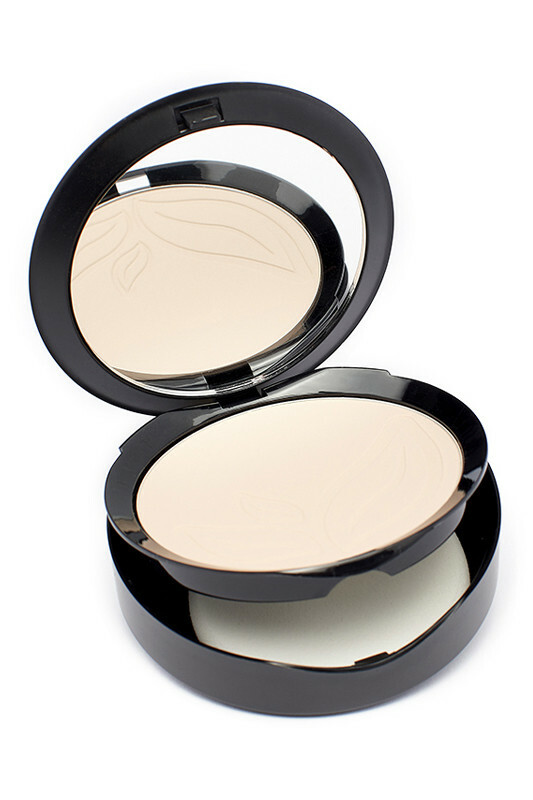 Thanks to its magnetic system, your powder is rechargeable: replace your powder by choosing a different shade or to recharge once the product is finished. 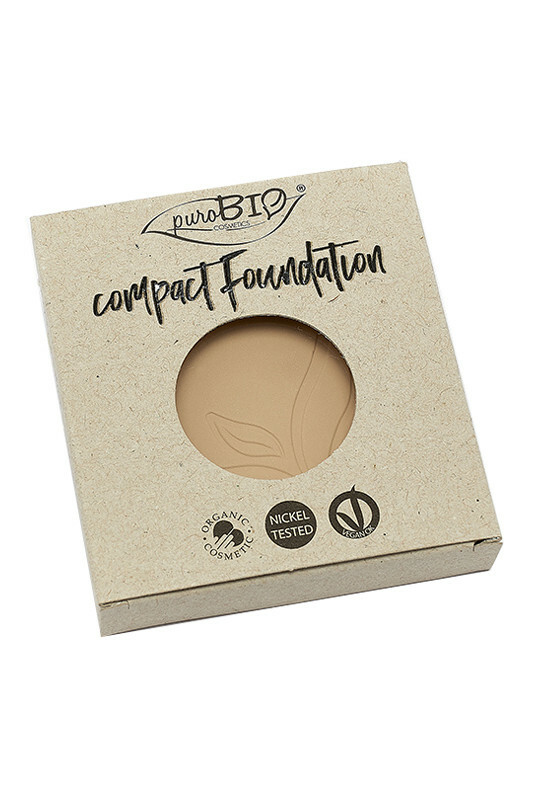 With Purobio Organic Compact Foundation Powder, your skin is radiant without any imperfections! 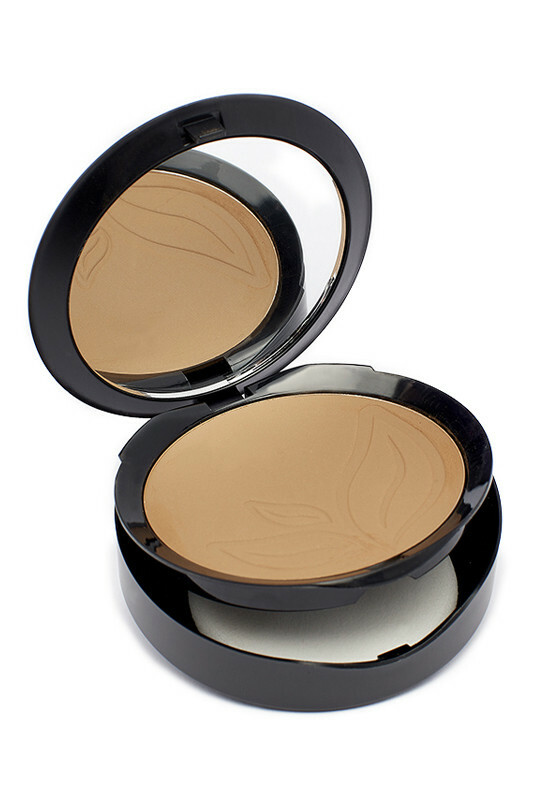 For a lightweight foundation coverage! On clean skin, apply a dry skin base or oily skin base. 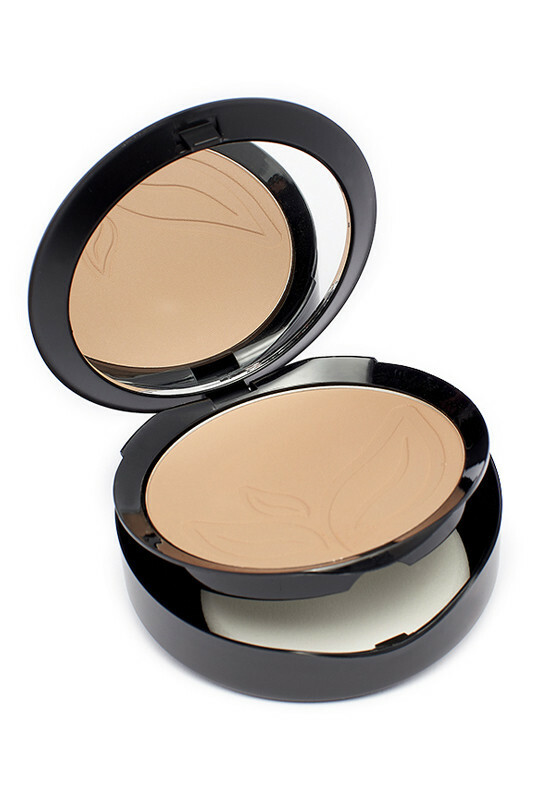 Choose the right shade of compact foundation based on your neck color. 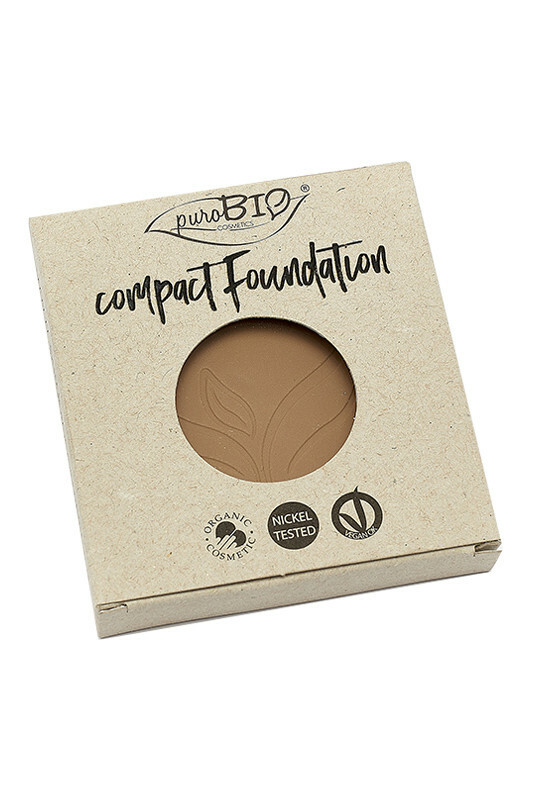 With the sponge included or a brush, apply the compact foundation by sweeping all over your face for a perfect finish. 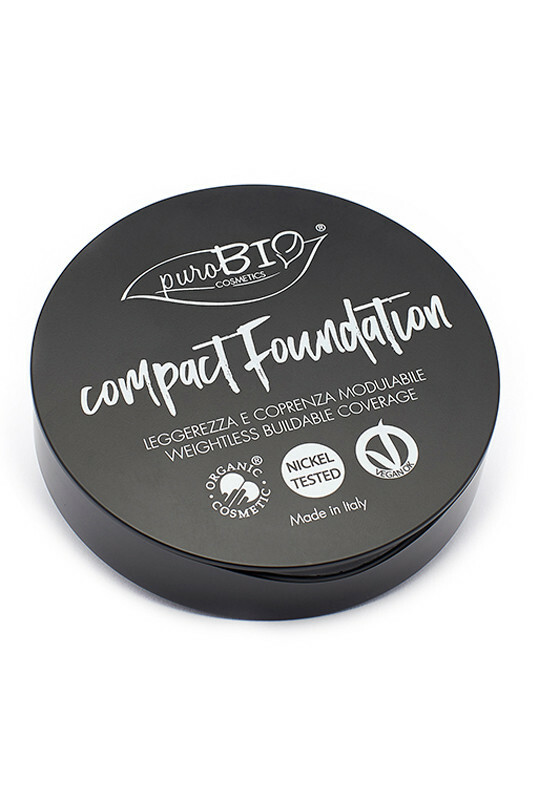 For a better hold, then apply Purobio Compact Indissoluble Powder or Purobio Loose Powder. PUROBIO Compact Foundation Powder is nickel & talc-free!